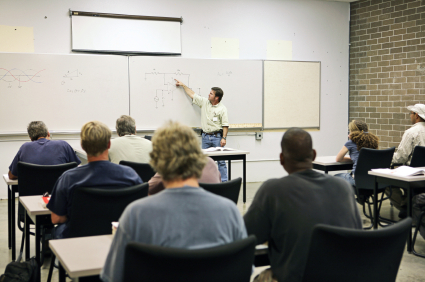 Nautel’s NAVAID training programs satisfy the customer’s day-to-day knowledge requirements. Nautel’s comprehensive selection of training programs helps customer staff develop valuable skill sets, reduce downtime, and make the most of the customer’s technology investment. Nautel training programs are made up of individual modules that can be ‘mixed and matched’ to meet the customer’s specific training needs. All Nautel training courses are available at the Nautel Training Center. Training can also be provided at the customer’s facility, and training the customer’s technical staff on the customer’s transmitter. All Nautel training courses combine classroom and hands-on laboratory work to ensure a balanced learning experience. Many of our classes also include diagnostic lab exercises. Labs that focus on the tasks most often performed at the transmitter site. To see what Nautel training courses are available in the near future, please see our Training Schedule. To register for a Nautel training course, please use our Training Registration Form.